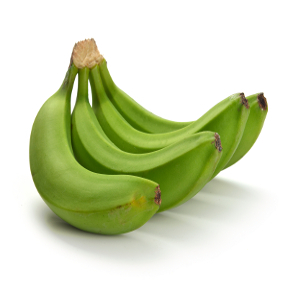 Plantains are fruits that are very similar to bananas, but are used for different culinary purposes. 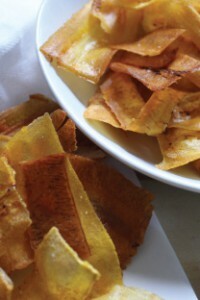 They are originally from Southeast Asia, but have become a staple food of Latin American countries in the Caribbean, Central, and South America. 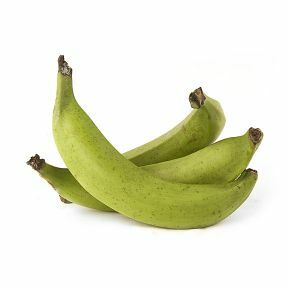 Plantains differ from regular bananas because of their firmness and sugar content and are used both when under and over ripe in a number of different traditional recipes from around the world. Source: Ecuador, Nicaragua, Cost Rica, Guatemala, Honduras. Handling: Stored at approximately 45°F in relatively dry environment. Has a long shelf life.